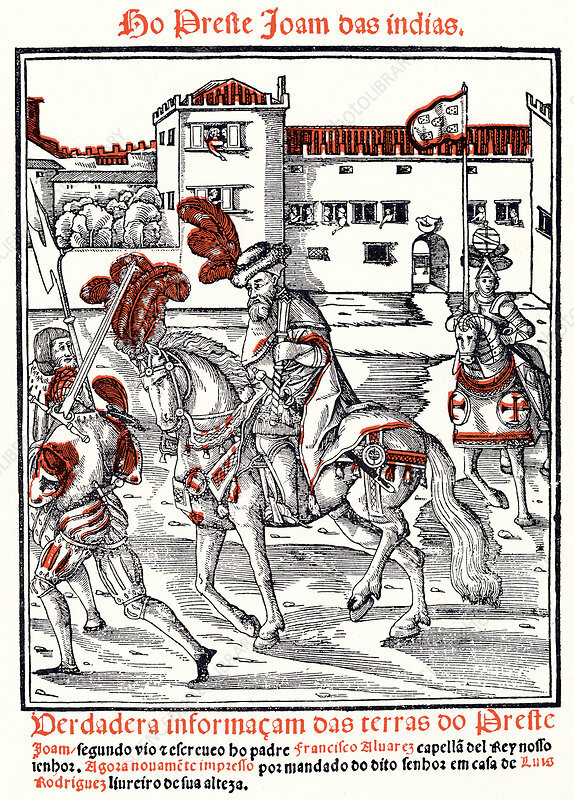 Prester John, legendary Christian priest-king, riding out from a city, 1540. In the 12th and 13th centuries Prester John was said to have been a powerful ruler in Asia, whilst in the 14th-16th centuries he was thought to have been king of Abyssinia. Title page of Ho Preste Joam das Indias.